With the boom in all-things organic, botanicals for health are getting their due. Medicinal farmers Jeff and Melanie Carpenter are used to people raising their eyebrows when they say they grow medicinal plants. “Once it’s established that we’re not growing marijuana, the questions start and just don’t stop,” the couple write in the introduction to their new book, The Organic Medicinal Herb Farmer: The Ultimate Guide to Producing High Quality Herbs on a Market Scale. Medicinal herbs remain a relatively new arena for farmers in the U.S., but it’s one with great potential. Most of the herbs used here are imported medicinals from China and India, but according to a 2013 industry analysis, there is an increasing demand for traceability and transparency as well as Fairtrade and organic products. And organic and North American-grown herbal medicinals appeal to consumers concerned about misidentified herbs, irradiation, and gas sterilization. According to Fairtrade International, sales of fair trade herbs rose by 33 percent in 2014, compared with a 10 percent growth in general global sales. According to Nutraceuticals World Magazine, a trade publication for the dietary supplement industry, the homeopathic and herbal remedies industry reached $6.4 billion in 2012, a 3 percent increase from 2011, and is expected to continue. A 2015 report from the American Botanical Council showed that sales of botanicals increased by 6.8 percent in 2014. To fill this growing demand, an increasing number of farms are working to bring the locavore mentality to herbal medicine. The Carpenter’s believe there is plenty of room for new farmers to fill this gap in North America as more health-conscious consumers turn toward botanicals. 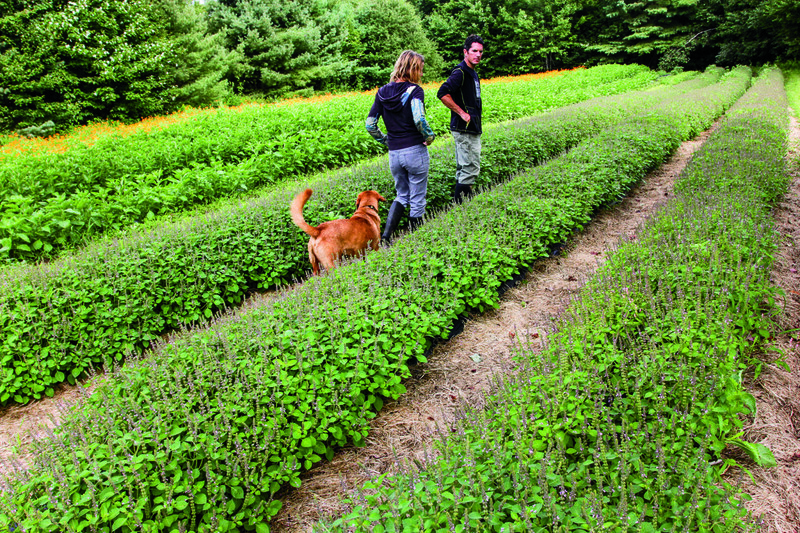 The Carpenter’s raise more than 50 annual and perennial medicinals on 30-acres at Zack Woods Herb Farm in northern Vermont. Some of their best sellers include angelica, anise hyssop, elder, and valerian. Their book draws on 16 years of experience, while offering new growers information on everything from what plants to grow and why, to farm machinery and layout. While their crops differ from many other small, organic farms, their operation does not. “Basically the herb farm looks like any other farm growing and marketing a diverse range of crops. 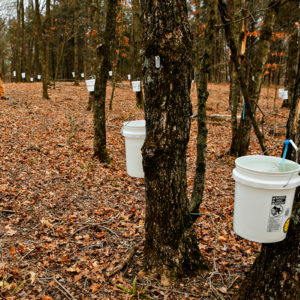 Most of the equipment and techniques we use to grow our medicinals are those we have seen used on local vegetable farms,” said Jeff Carpenter. The two first met on Melanie’s stepmother’s medicinal herb farm and school, Sage Mountain Herbal Retreat Center and Native Plant Preserve, where Melanie grew up and Jeff worked. The couple started out running a small business making and selling herbal extracts and skin care products, and decided to start growing their own ingredients in 1999. During their first years the Carpenters struggled with a lack of information on growing medicinal herbs. Most of what was available focused either on large-scale farming of commodity crops or hobby-sized herb gardens. Later their challenge was understanding how much to grow in order to keep up with demand. 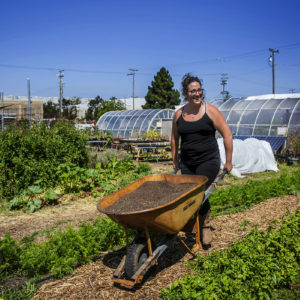 Mentors like Rosemary Gladstar and Andrea and Matthias Reisen of Healing Sprits Herb Farm helped with the farming and processing end, while others helped them write a business plan. “Medicinal herbs are basically wild weeds being purposely cultivated. They then have a natural resistance to pest and disease pressure and many attract beneficial insects. Another pro is that herb farmers dehydrate most of their herbs, so our crops have a much more stable shelf life and are easier to handle and store than other typical farm products,” said Jeff. Many of these plants are also native to North America, such as boneset, echinacea, and stinging nettles, or familiar ones like oats and lavender. Their ability to support pollinators and their preference to grow in diverse communities make them doubly useful for existing operations. 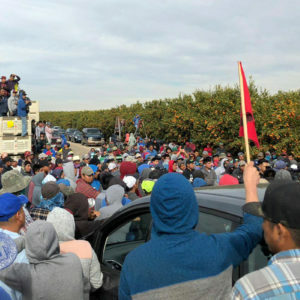 It also means they support the farmer as well as the consumer. Photos, from top: Jeff and Melanie walking in the field with their dog (photo by Alden Pellett); Jeff and Melanie standing in the field (photo courtesy of Chelsea Green); dried herbs for shipment in box (photo by Jeff and Melanie Carpenter).